Charice Pempengco still a hot topic after boldly coming out and became free as a bird with her new look as a lesbian. And it seems her interest in music is slowly switching into a more R n B and acoustic type rather than very high notes of pop music. 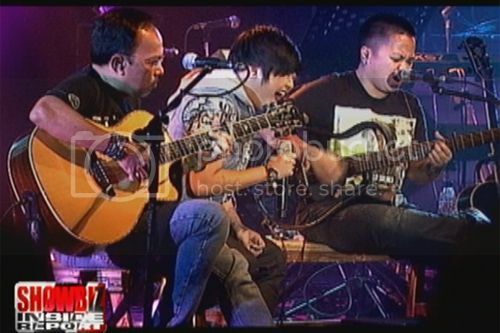 It was also interesting to see her sing with Aiza Seguerra who is also a lesbian that Charice said she look up to. Recently, Charice visited the concert of Aiza and Noel Cabangon with their “Tambayan Hits” in Makati City last June 21 where Charice as one of the audience went up to the stage to make a duet with Aiza and sing their version of Titanium song of David Guetta. Audiences were amaze on how their chemistry collides when they hear the two sing with vht at musicians friend. Charice voice still wonderful despite her hardship of trying to be accepted as she is. But, to be honest, they are both amazing singers.